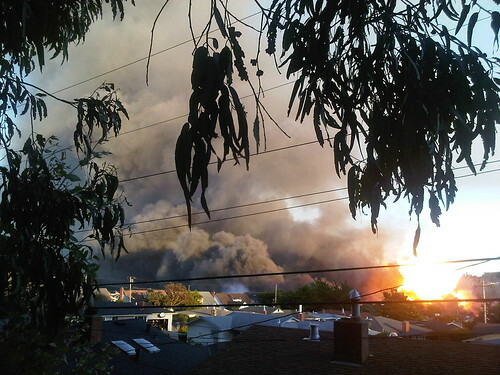 It’s clear that the PG&E pipeline explosion in San Bruno in September was an unfortunate mistake. But it was also an avoidable mistake that killed eight people, which led the National Transportation Safety Board Monday to suggest seven important steps the gas and electric company can make to prevent future pipeline explosions. Six of the suggestions were confidential, but the seventh, asking PG&E to verify its records, indicates little operational faith in the agency and provides a clue into the type of scrutiny likely to overtake PG&E in the coming months and years. The NTSB recommendations cited PG&E’s “record-keeping problems,” signified by the initial claim that the pipeline in question had no ruptured seams, which was later found to be wrong. In addition to prompting organizational errors, the NTSB urged, inaccurate records could lead to “potentially unsafe” pressure settings, which could lead to future pipeline explosions. PG&E vice president Kirk Johnson responded to the suggestions, attempting to instill confidence that the company “is giving these recommendations close and immediate attention. We have been undertaking an intensive review of our pipeline records, scrutinizing and verifying thousands of documents to confirm the quality of our data,” he said. Company officials have previously admitted to “unacceptable” record-keeping flaws, the San Francisco Chronicle reports. In addition to putting pressure on PG&E, the NTSB targeted the California Public Utilities Commission, which is charged with regulating safety measures that could prevent future pipeline explosions. This is an important measure, considering the troubling timeline of pipeline explosions, which indicates that events like the San Bruno blast are common and reoccurring.